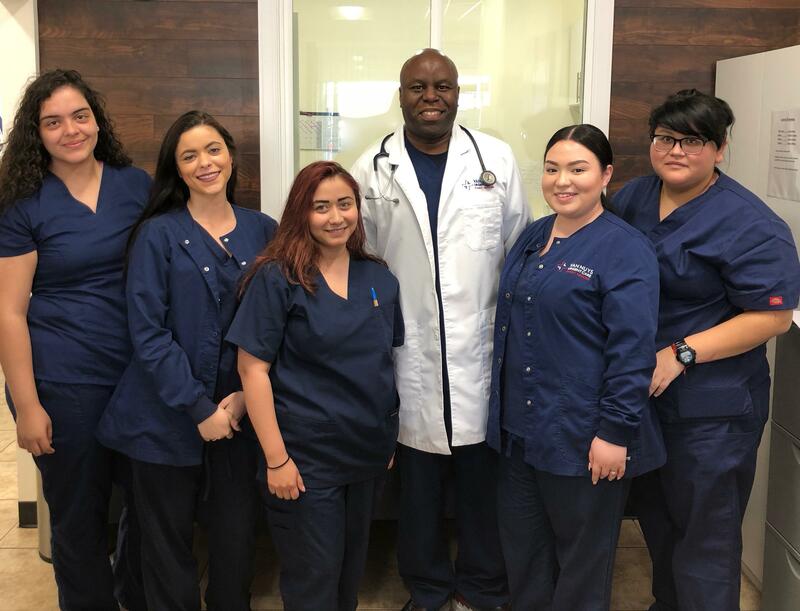 At Van Nuys Urgent Care Family Medicine, you’ll find compassionate, complete care that isn’t available to you in a typical Urgent Care setting. We provide personalized, high-quality urgent and chronic care services for patients of all ages and backgrounds, with onsite laboratory, x-ray, ultrasound and pharmacy. Our clinic serves Van Nuys and the surrounding valley communities of Los Angeles. We strive to make each of our patients feel respected and supported by providing personalized attention and excellent customer service. Our modern facility uses state-of-the-art technology and current evidence-based medical treatment guidelines. We treat our patients with kindness, respect, and professionalism, and encourage them play active roles in decisions associated with their health and treatment options. Appointments are never hurried and questions regarding care are encouraged. At Van Nuys Urgent Care Family Medicine, you can rely on thorough examinations and clear explanations regarding concerns or conditions. We are open 7 days a week Monday-Sunday, walk-ins or appointments welcome. We hope you’ll choose Van Nuys Urgent Care Family Medicine the next time you or someone close to you needs top-notch care.